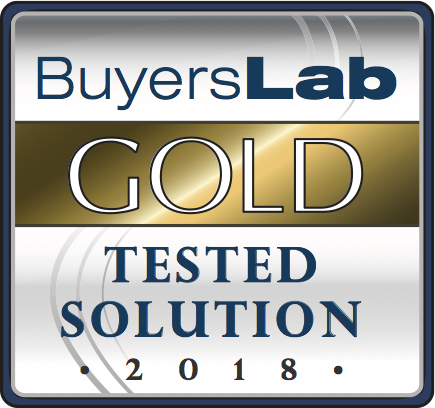 Konica Minolta bizhub Evolution awarded Buyers Lab Gold by Keypoint Intelligence | Industry Analysts, Inc. Following in-depth testing, Konica Minolta’s flexible platform for document processes, bizhub Evolution, has received a Buyers Lab Gold rating from Keypoint Intelligence – the world’s foremost authority on imaging software, hardware and services. The cloud-based solution enables users to streamline their everyday document processes via mobile, desktop computer or connected Konica Minolta MFP. Described in the Buyers Lab report as being “unique to the market”, bizhub Evolution offers a suite of on-demand document processing and delivery services, including converting digital or paper-based documents into a multitude of formats, having them translated into another language, converting text to speech or printing from any Internet-connected device. Also praised was the clear and intuitive user experience, with a common, easy-to-understand interface shared by both the web portal and the embedded applets available on a Konica Minolta MFP. The report noted that many user tasks could be achieved with simple drag and drop operations. Whilst Konica Minolta offers training if requested, Keypoint’s report saw the immediacy and simplicity of bizhub Evolution services as rendering this largely unnecessary. Administration was also highlighted as being “pleasantly simple and straightforward”, with strong security and data protection processes and features built in. The Buyers Lab report also drew attention to the cost-effective and flexible nature of the bizhub Evolution platform. Even though a breadth of services and tools is available, businesses only need to pay for what that they use, and the platform offers an affordable way to access specific features, such as secure pull printing, without needing to invest in an expensive dedicated solution. “bizhub Evolution is an on-demand platform for smarter business processes that helps organisations accelerate everyday tasks. All services can be activated and used on-demand – because with bizhub Evolution, you only pay for what you use. And thanks to its built-in Marketplace, when an organisation or user’s needs change, there is a growing selection of high-performing services and tools available, providing the ability to rapidly extend the capabilities of connected Konica Minolta MFPs and to further power your business. This entry was posted in Konica Minolta and tagged Buyers Lab Gold, Konica Minolta by IA Staff. Bookmark the permalink.